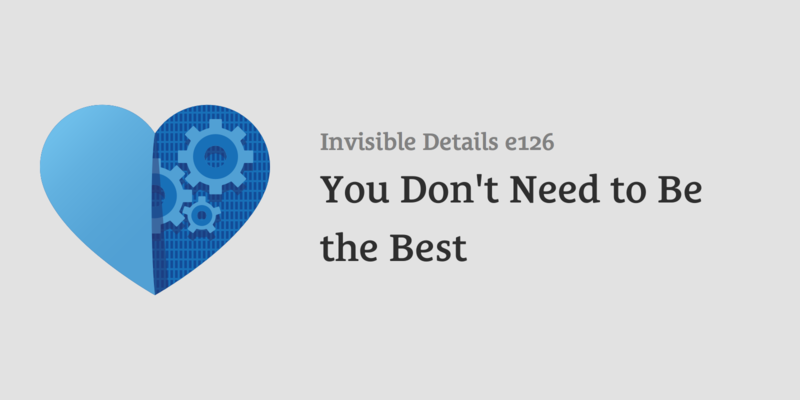 Invisible Details - A weekly show about building a successful brand through story and authenticity. A weekly show about building a successful brand through story and authenticity. A brand is so much more than a logo or what is visible on the surface. It's the heartbeat of a company. A brand is about values and the story you're telling. Join Cory Miller and Kyle Adams every Saturday for clear and practical advice on how to define your brand from the inside out. Connect with your audience and stand out from the competition. We’ve had an incredible first season of Invisible Details and we’re very proud of what we’ve created. Whether you’ve been listening since the beginning or just started recently, thank you! We hope you’ve received an incredible amount of value from our show. In today’s episode we’ll explain a little bit about why we’re pausing the show and some of the exciting things we have coming up. Logo? Check. Mission statement? Check. Target audience? Website? Check and check. 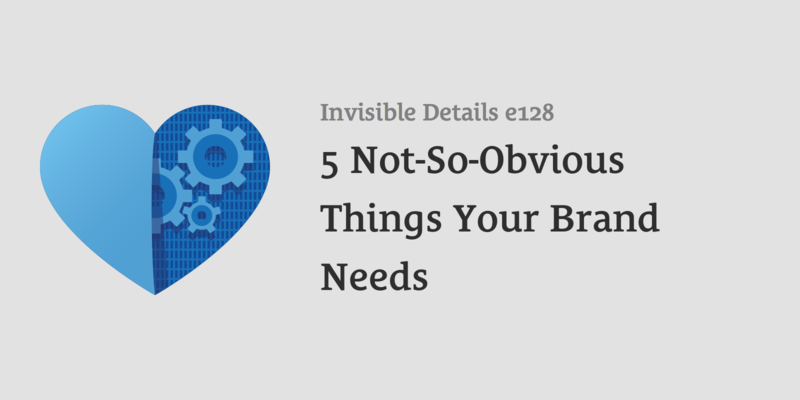 The external components of a brand are fairly easy to spot. You can get a sense of what you need to have in place with a quick Google search or a trip down our podcast archive. It’s not that the obvious things are unimportant. On the contrary, every facet of what brings a brand to life holds great value. There are also many unseen parts of a brand, and it’s a journey we like to take to find those invisible details. These are the things that keep the clock ticking and locked in time. What is it that makes McDonald’s a stand-out brand in the fast food industry? What should you be reminding yourself (and employees) of as often as you can? What do you need to have written down and solidified so you aren’t caught off guard? We’ll answer these three questions and more on today’s show where we talk about some practical things your brand needs that may not be as apparent. When your business is not yet financially viable, you have to have something that pays the bills. Running a business is not cheap, plus with the fact that you need to keep the lights on at home, there has to be a means of income somewhere. Not everyone has the luxury of being able to work on their business full time. Many people support their business ventures by working a day job or bringing in finances by some other means. For others, their day job is one they dread every single day. It drains them and is a continual source of frustration. They may feel trapped, either because of the paycheck or the seeming lack of work elsewhere. When you feel stuck in your day job and you feel like it controls you, you are doing a disservice to your business and passion. 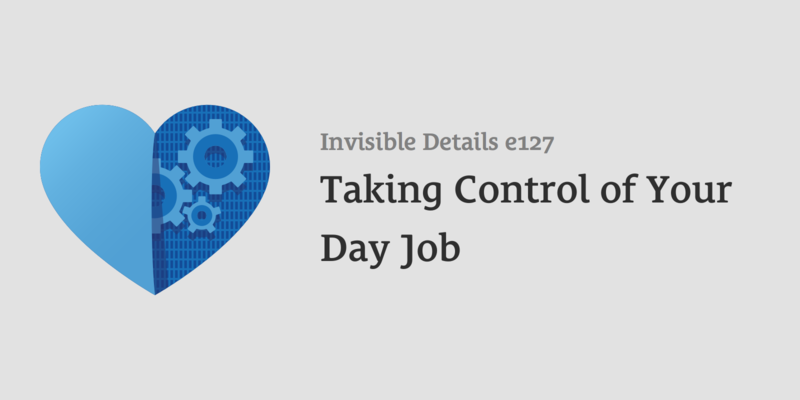 So what would it look like to take control of your day job? What steps could you take to not only improve the job you have now, but perhaps even the company you work for? What sort of mindset would you need to transform yourself from getting burnt out at work to thriving and being fulfiled at your day job? On today’s episode, we talk about what it might look like to support your business with a day job (you don’t hate! ), how a simple mindset shift could change your actions and behaviors toward your day job, and why your business probably should be put on pause until you get your day job situation in order. When learning to ride a motorcycle, one of the earliest things they teach you is to always keep your eyes focused on where you want to go. It doesn’t even matter if your head is pointed straight forward. If your eyes wander too far away from where you want your motorcycle to be, your body slowly starts to lean in that direction, and it can obviously lead to devastating results. Doing anything professionally requires much of the same focus. Too much deviation from your goal, too much sidelong glances at what others are doing and you might find yourself straying away from your objective. If you’re truly helping people and you run your brand off the road, who suffers the most? The same people you’re trying to help. Finding success doesn’t mean you have to be the best in the world. On today’s show we’ll be talking about what it means to define your own success, ways to practice putting your customers first, and why slow sustained growth is better than a flash-in-the-pan success. There is an interesting divide in businesses around the world when it comes to their various practices. Many companies seem to want to do anything it takes to make money, while others take pride in having some level of virtue and wanting to do the “right thing”. The “right thing” can be incredibly subjective, not to mention controversial. If one business says they are doing something ethical, does that necessarily mean that any similar company doing the opposite is not? The values of a company determine its direction. They define what you will and will not do as a business or a brand. It’s one thing to set these values internally, but it’s another completely to make them a focused part of your external brand. 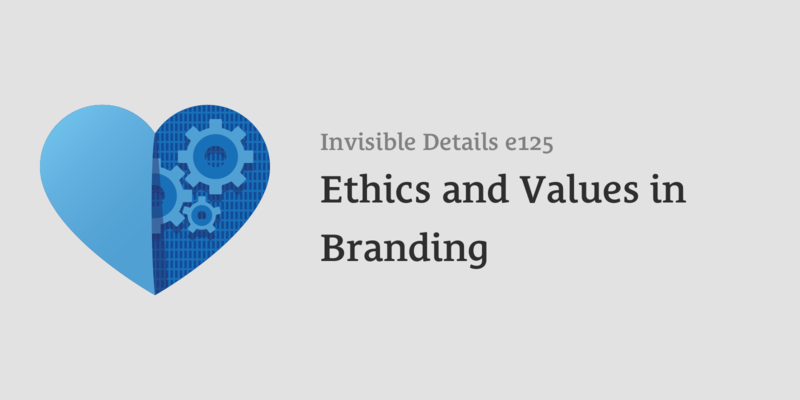 In today’s episode we’ll be talking about what it means to define your brand’s ethics, where ethics should sit in regard to the public, and how you can help consumers become more mindful when it comes to the things they buy. There is often a confusion with the term “branding”. Many people often think a brand is what something looks like, how it’s made or presented. People often equate “design” and “brand”, even though it’s only part of the picture. Charli Prangley is a web and graphic designer who is passionate about helping designers do their best work. She currently works for ConvertKit, an email marketing service for creators who want to make a living. She’s built a massive audience on YouTube, where she makes quality videos about design. 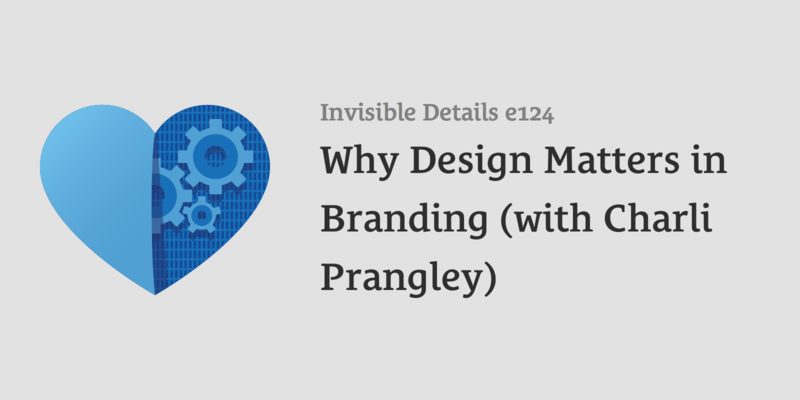 Charli joins me on the show today to talk about how design and branding work together. We’ll also talk about when to invest in design for your business, when to hire out, and how to communicate your brand values through design. For most people, I’ve found that the biggest obstacle is putting themselves and there out there for the whole world to see and critique. Sure, the possibility of success is there, but so is the possibility of rejection from the people you’re wanting to help the most. The fear of rejection can be incredibly powerful. The idea that you might put an incredible amount of work and passion and time into something just for people to reject it can be absolutely crippling. Why would anyone purposefully put themselves into a situation where the things they create could be mocked or put down by others? What if you spend weeks, months, or years pouring your heart into a project or business only to have it met with poor reviews, negativity, or bad press? The answer is: you might, and that’s okay because the solution is to plan for it. If you plan for the worst, you’re ready for when it comes. This is a topic really close to my heart, and I want to encourage you. On today’s episode I’ll be talking about how to deal with negativity, poor reviews, bad press, and a general feeling that you’re just not good enough. When you make the decision to shift away from your current pursuit to something different, sometimes the transition isn’t too big. 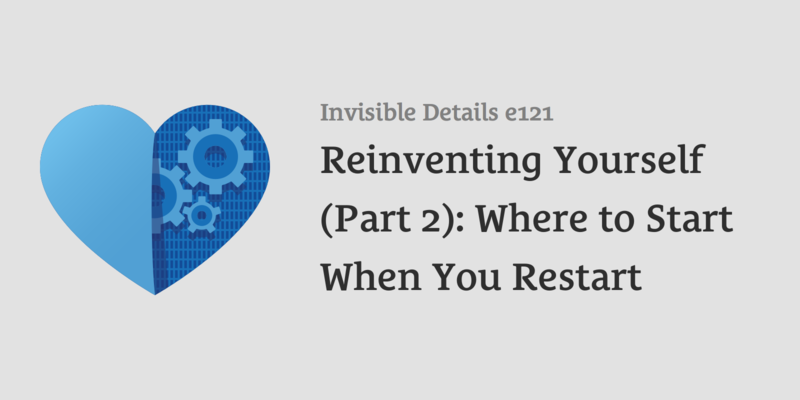 There may be some overlap and you may not have to rebuild your audience or following. But what if you want to change industries completely? What if you decide that what you have been pursuing is not what brings you fulfillment and you find a passion in something completely different? What does that process look like? On this final part of our three-part series on reinventing yourself, I’m joined by my good friend Sarah Dayan (https://frontstuff.io) to talk about the process of changing industries (in her case from hand lettering to development), how that affects your brand, and how to make the switch even when it feels uncomfortable. In the first episode of this three-part series, we talked about pivoting without throwing everything away. Pivoting is a process in and of itself and you can still bring along a lot of what you’ve already learned and built. Starting from what seems like zero can be complicated, especially when you’ve been in your current industry for a while. People might know you a certain way, you may have built up an existing audience, and your network might still be comprised of the field you want to depart from. You may still have some foundation from your previous direction, but there is a lot of new ground to cover. If you want to be known for this new thing, you have to take the steps to get there. 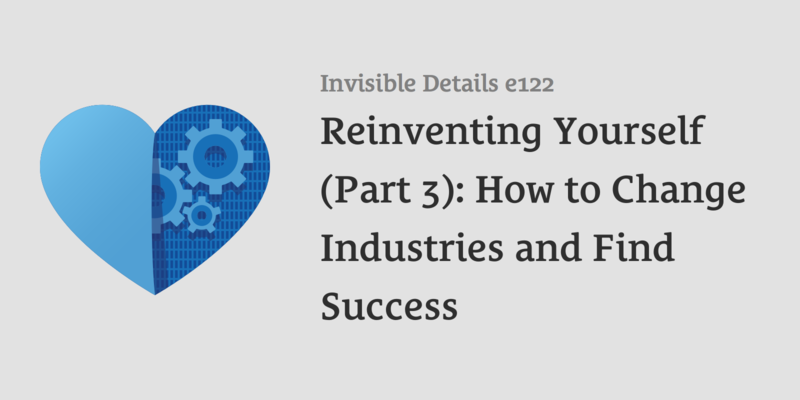 This episode is the second in a three-part series on reinventing yourself. In today’s episode we’ll be talking about how to take beginner steps even though you have a lot of experience, and where you should be focusing when you decide to take the big steps of change.